We have seen how most of the virus is Windows-centric, and that malicious program intended for Windows cannot harm a Mac. It’s true to an extent but now the trend has changed. The cyber criminals are smart and it’s like one-stone-two-bird theory, they are writing this malware in cross-platform scripting. So not only Windows but Mac and Linux OS also get their share of nasty software. There are many Mac-specific threats, and antivirus protection for Mac is equally important. 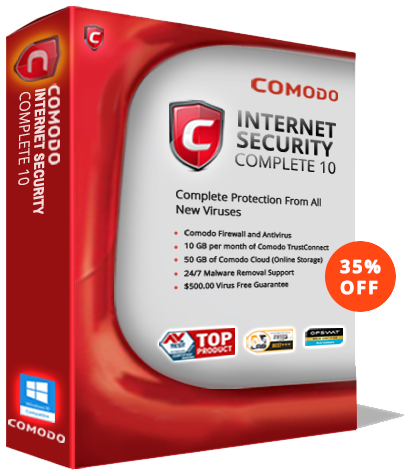 Comodo Antivirus– Comodo Antivirus provides the state-of-the-art virus protection for Mac OS computer at no cost. It has an on-demand scanner, and ‘always on’ real-time protection and a constantly updated database of known viruses, Comodo Antivirus provides superior protection against zero-day malware. This is not a stripped down version of a paid product, it’s the real deal. Scan any drive or file. Get in-depth reports on viral activity. Even scan compressed .zip files, where viruses often hide. All in one attractive user-friendly interface. Bitdefender – Having said that Apple computers need protection too. Bitdefender may be a security star for Windows, but for Mac, it doesn’t add that charm or comes with any extra bonanza or added features. Bitdefender brings minimum antivirus protection to Mac. You should click to enable Safe Files ransomware protection during installation to protect Time Machine backups against tampering. Kaspersky for Mac – gives you secure browsing with the Safe Money tool, privacy protection components, and also parental control. All this at the same price as many Mac antivirus utilities, Kaspersky gives you a full suite. Five icons at the bottom: Scan Update, Safe Money, Parental Control, and Privacy Protection. Despite having more features than many competitors do, this product maintains an uncluttered main window. Sophos – To install this you have to confirm your email, it will support 10 devices, macOS or Windows, and your subscription never ends. After installation the product is ready for use within a minute or two, the product is ready with all the latest antivirus signature updates. The product is simple, with a clean interface. One click launches a full scan and there is no quick scan option. You also have web protection, and detection of PUAs, or potentially unwanted applications. Avira – is pretty fast and when you launch Avira’s installer, it goes online to get the very latest code and malware signatures. If you don’t want to pay for antivirus protection on your Mac, consider Avira Free Antivirus for Mac. It doesn’t cost a penny. Avira includes a firewall component this control simply turns the built-in macOS firewall component on and off. ESET Cyber Security (for Mac) – ESET protected 98.4 percent of the Mac malware samples that researchers at AV-Test Institute threw at it, that’s pretty good. ESET’s email protection is enabled by default. Webroot – It handles installing very smoothly, with minimal user interaction required. Webroot looks almost exactly the same as that of its Windows counterpart. The only difference is that the Windows edition includes a toggle for its firewall component, which is not in macOS. Most of the window is tinted in shades of green, but a large white panel reports details on the latest scan and the next scheduled scan, with a big button to launch a full scan on demand.